Hailed as "a chilling portrait" by The Boston Globe and "a crafty thriller" by Newsweek, this astonishing story of an obsessive hacker promises to change the way you look at the Internet forever. At Large chronicles the massive manhunt that united hard-nosed FBI agents, computer nerds, and uptight security bureaucrats against an elusive computer outlaw who broke into highly secured computer systems at banks, universities, federal agencies, and top-secret military weapons-research sites. Here is "a real-life tale of cops vs. hackers, by two technology writers with a flair for turning a complicated crime and investigation into a fast-moving edge-of-your-seat story" (Kirkus Reviews, starred). 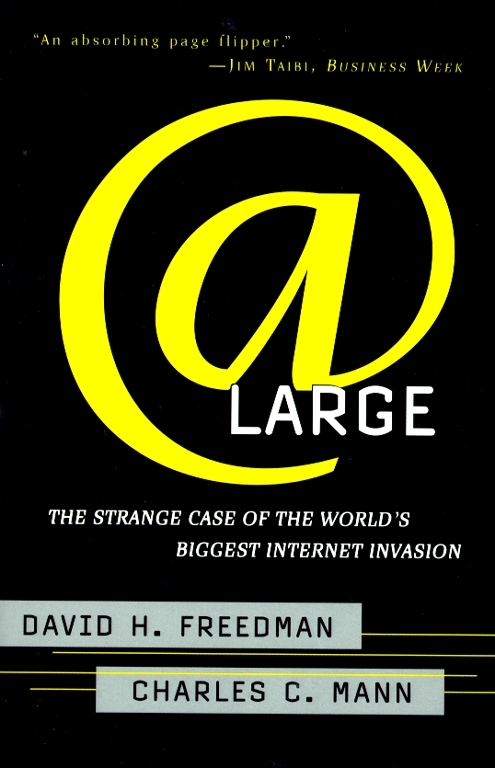 At Large blows the lid off the frightening vulnerability of the global online network, which leaves not only systems, but also individuals, exposed. Jon Katz The New York Times Book Review Freedman and Mann understand technology, computers, and security issues. Their message in At Large is clear and convincing. Time Digital A thriller...spine-chilling...reads like a John Grisham novel. The San Diego Union-Tribune A fascinating story....Read it and you'll never look at the Internet or your computer quite the same.